Radiohead are set to release their new album in June. The rock band - consisting of Thom Yorke, Jonny Greenwood, Colin Greenwood, Phil Selway and Ed O'Brien - are reportedly planning to drop their ninth studio collection in two months' time and it'll be like "nothing you've ever heard." The group's manager Brian Message was reportedly overheard confirming the news during a conversation at The Wanstead Tap bar in London last night (14.04.16). 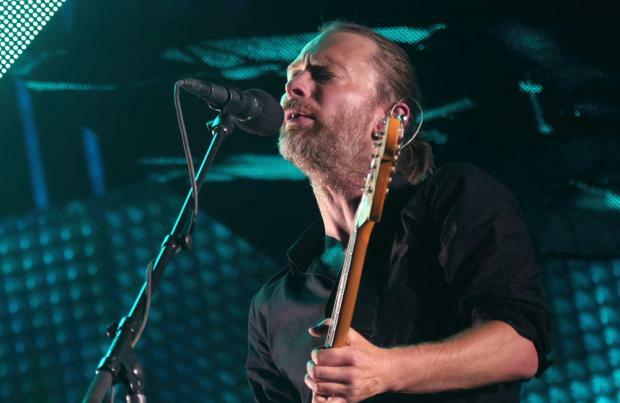 The boozer took to its official Twitter page to share the news, writing: "From the horses mouth "the new Radiohead album out in June will be like nothing like you've ever heard. (sic)"
However, the planned release date may come as a shock to fans as visual artist Stanley Donwood - who has worked on all the artwork for the group's LPs since 1995's 'The Bends' - claimed recently that the album is nowhere near ready. Asked if he's listened to the new tracks and when fans can expect the record, he said: "I have. Is it done? Not yet." Meanwhile, ahead of their recently-announced tour, the bandmates established a holding company called Dawn Chorus LLP in October 2015, and a new business named Dawnnchoruss Ltd has now been registered. In July 2007, they founded Xurbia Xendless Ltd in advance of 'In Rainbows' - released in October that year - while in December 2010 they formed Ticker Tape Ltd ahead of 'The King of Limbs' release in February 2011.